Audio, video, and gaming accessories! Quality after-market gaming and console accessories for the XBox 360, PS3, and Wii! Game controllers, A/V cables and adapters, fan cooling, and so much more! This extra life battery pack provides you longer time game playing and prolongs your entertainment time due to its expanded power range of 3600mAh. Simply plug the charger into the AC adapter (5V output) with USB socket or the computer or the Xbox 360 console. The indication light will be turn on during recharging. Please use up the battery before recharging to prolong the battery life. The initiate charge time should be over 8 hours. Calibur11 has created an innovative vault design to armor up your console. With the base vault you get not only great industrial protection and optimized ventilation, but have the opportunity to turn your console into a three dimensional masterpieces. XBox360 Charging Dock: Recharge the XBOX360 wireless controller,simultaneously recharge the controller and battery pack by using USB connection.Red LED charging indicator lights.It can recharge the AA rechargeable batteries with different capacity. Set the official XBOX360 wireless controller in the front charging dock,and only put the battery pack in back charging dock. The PAD LED light indicates the charging status of controller,BAT LED light indicates the charging status of battery pack. Plug the USB cable into the charging dock and the USB port of console. If the red LED light in charging,it keeps red,it means the battery is recharging. When the battery is fully charged the LED light will keep green. This Xbox 360 External Cooling System keeps your Xbox 360 running at optimal conditions. The cooler is a snap-on cooling attachment that easily connects to the Xbox 360. It provides increased air flow away from the Xbox 360 system, allowing a cooler and better ventilated environment. The cooler is ideal for cramped entertainment centers. No internal modification of the Xbox 360 is required. A pass-through power connection utilizes the existing Xbox 360 power supply, negating the need for an extra AC adapter. Get extended life, reliability and gaming with this external cooler for your Xbox 360! Great for your XBox360, PS3, or any home entertainment device! These are Brand New! Charge your Nintendo DS Lite straight from your computer or laptop. The Nintendo Wii is the only major gaming console that does not have HDMI output. The console's output resolution is only 480i/p, the lack of an HDMI output on the Wiii makes installations and wiring more complex and troublesome. Connect your PS2/3 with a TV, PC monitors, or projector equipped with component video inputs. MicroUSB Cable for USB NAND programming tools. Effective for use with the XK3Y, DK Programmer, NAND-X, and even for data/power connection to popular mobile devices with the micro USB port. I have ordered several times from Modchipcentral.com for my XBOX 360 and Wii modding needs and have been very satisfied each time. 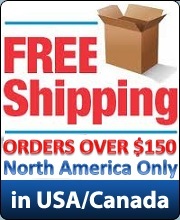 They have fast shipping and always provide a tracking number with each order. The communication is excellent and I will continue to buy from them. Thanks!